Parlor is committed to ongoing training for all of our craft hairdressers. This journey begins with an initial apprenticeship alongside our most successful stylists while doing intense training in our Education Mondays. Once they have passed a test-out process to perform base line services up to Parlor standards, we then allow them to perform services a minimal amount of days on the floor. We continue to support them with ongoing coaching and education as they gain further experience as Junior Stylists as part of the Parlor Beauty Squad. As always, we guarantee our services, even at this stage of training. 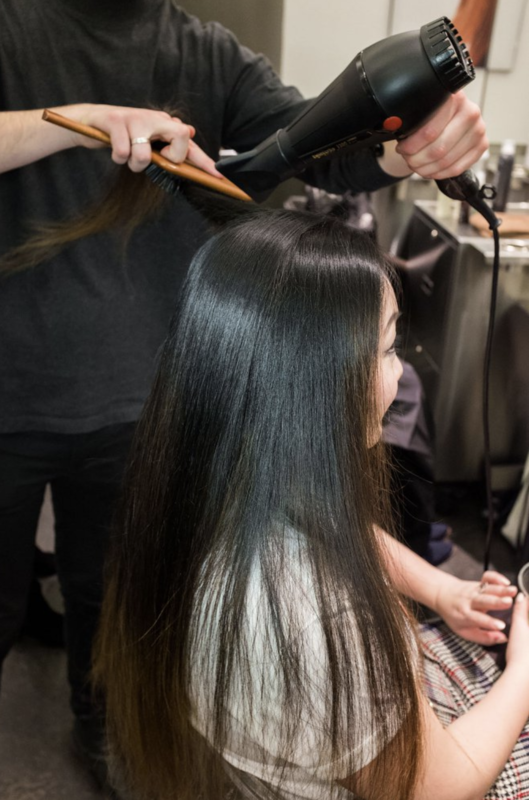 So if you are looking for an economical blowout, simple color maintenance, or a precision cut with elementary lines, you might want to consider our Junior Stylist level. With all that said, Gwenn believes our Junior Stylists have more experience than you may find with regular stylists at some of our competitor’s salons.